Stuhr Museum and the Grand Island Fire Department are working together on two projects aimed at preserving Hall County’s firefighter history. Over the next few months, Stuhr will be sharing relevant photos from its massive collection with the GIFD for use on social media. These photos, which begin in the 1890s and go up through the 1930s, show a rich history of protecting the public and vividly show how methods, equipment and safety have changed in the past hundred years or so. These photos will be posted at facebook.com/GI.FireDepartment. In addition, GIFD will be working in the future to make their history more accessible to the public in a variety of ways. Stuhr will be helping with those efforts through expertise and materials. 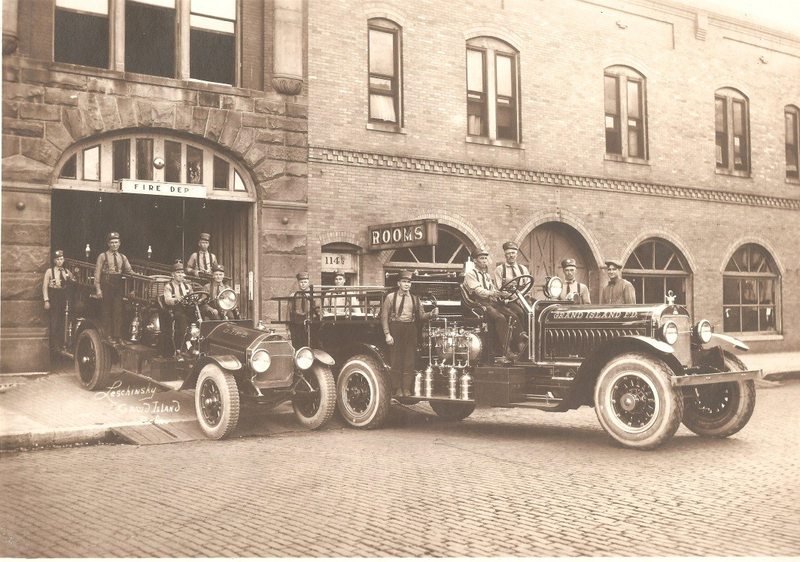 For more information on this project, contact Jared Stockwell at the Grand Island Fire Department at (308) 385-5300 or Stuhr Museum at (308) 385-5316 or at www.stuhrmuseum.org.